ATLANTA, May 2, 2014 /3BL Media/ - The Coca-Cola Company and WaterHealth International (WHI) today announced their plan to bring safe drinking water to 1 million school children through their Child With Water (CWW) program. Together, the partners aim to deliver 500 million liters of safe drinking water a year to 1 million school children in 2,000 schools in developing countries by the end of 2015. Safe drinking water will be delivered to school children through water purification systems installed, operated and maintained by WaterHealth International and the first installations will begin in May 2014. “Safe water is critical for all. It’s vital to the health of people and communities, it’s essential to economic prosperity, and it’s the lifeblood of our business,” said Bea Perez, Chief Sustainability Officer, The Coca-Cola Company. “Through the Child With Water program, we can help keep children hydrated, active and healthy so they can thrive in school and in their communities. We believe this program has the potential to help transform communities through safe water consumption, safe water handling and safe hygiene practices. WaterHealth International is an ideal partner to implement the program because of their proven model and capability of providing safe water to communities. The results will have a lasting impact on the communities we serve.”The Coca-Cola Company also announced it has taken a minority equity ownership in WaterHealth International. WHI is a world leader in decentralized water purification, currently operating more than 500 water purification plants in five countries providing sustainable safe drinking water access to about 5 million people. The investment by Coca-Cola will further support the scale up of WaterHealth’s sustainable model to provide safe water to underserved communities and accelerate the placement of new WaterHealth Centers and CWW programs globally. Coca-Cola is actively partnering with WHI for safe water access projects in West Africa through its Replenish Africa Initiative (RAIN). CWW supports Coca-Cola’s commitment to replenish the water used in its beverages by 2020, and its continued commitment to fostering sustainable communities globally. WaterHealth’s vision is to play a central role in bringing safe, quality water to the two billion unserved and underserved people around the world who do not have reliable access to it. 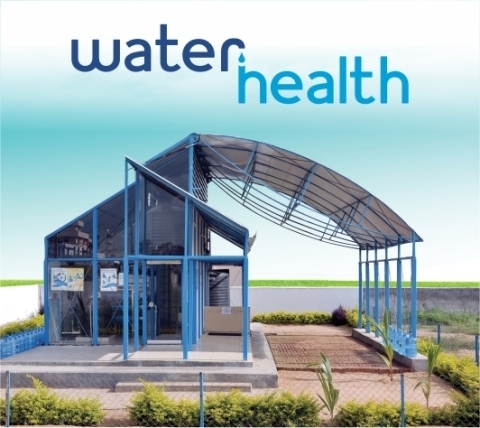 WaterHealth Centers allow underserved communities rapid access to safe water at an affordable price, helping solve the global challenge of waterborne diseases. The Company has a sustainable business model under which it constructs a WaterHealth Center and provides long-term operations, maintenance and water quality monitoring services to communities for a low, initial one‐time cost. The Company currently operates over 500 such WaterHealth Centers in developing countries and provides drinking water access to 5 million people, aiming to reach 100 million by 2020. For more information visit our website http://www.waterhealth.com.